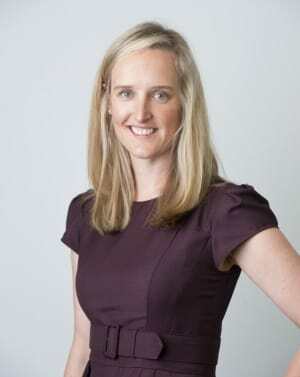 OMD Australia chief executive Aimee Buchanan. OMD has leapfrogged Carat as the media agency with highest ‘overall activity volume’ for 2017, according to the latest RECMA rankings list. 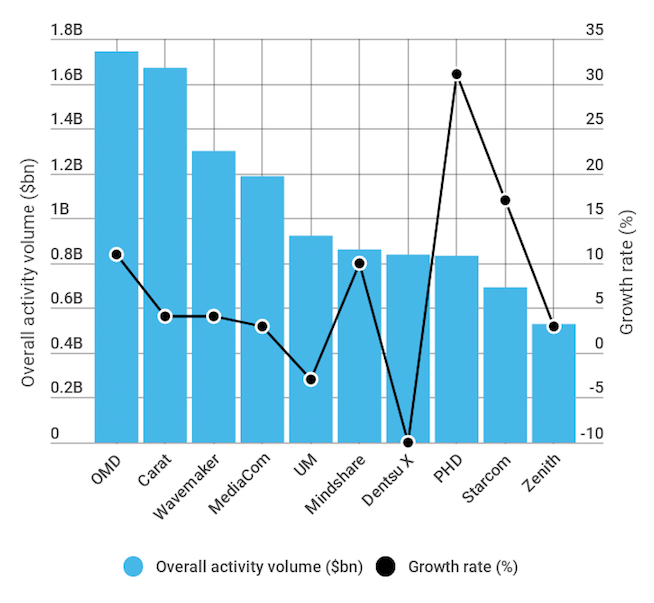 OMD increased its volume activity by more than 10% AdNews understands, which saw it rise above Carat, which grew by 4%. Wavemaker (up 4%), MediaCom (up 3%) and UM (down 3%) rounded off the top five. Many pitches have been won and lost since the report including major brands like GsK, Unilever, VW and P&G. PHD had the strongest growth of 31% while Dentsu X had the largest decline of 10% in billings after losing the Victorian Government account. The 2017 results do not include the significant account move of Federal Government from Dentsu X to UM, which took place this year. The ‘activity volume’ rankings are based on agency billings, but RECMA also measures staff headcount and year-on-year growth rate. It has been a successful past 18 months for OMD Australia, retaining Beiersdorf and winning a range of new clients, including parts of the NSW Government account, Simplot, UBET, TripAdvisor, Queensland McDonald’s and Qantas international work. It also has some of the largest advertisers onits books such as McDonald’s, Qantas, Coles, Telstra, Village Roadshow, TAB and Esteé Lauder Companies. “It’s fantastic to be ranked the number one agency in billings. We are focused on driving sustainable growth and using our size and scale to deliver trading advantages for our clients,” OMD Australia chief executive Aimee Buchanan told AdNews. Another agency that posted a solid result on its first year in the rankings was GroupM’s Wavemaker, a merged entity between Maxus and MEC that joins the list ahead of stablemate MediaCom. Wavemaker boss Peter Vogel told AdNews: “A key part of the strategy around the formation of Wavemaker was to create a leading media agency network that not only offers scale in media, which is important, but also brings together the best people, processes and technology united through our focus on the purchase journey.